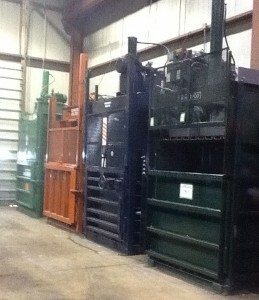 Standard 60/30 Cardboard/Paper & Plastic Balers. In Stock And Ready To Ship Selco/Harris V5-HD Reconditioned Balers With 90 Day parts and labor Warranty. The vertical balers available can handle a wide range of material including: OCC (Old Corrugated Cartons), Boxes, Shrink Wrap, Non-Ferrous Scrap, Light Non-Ferrous Metals, Textiles, Plastic Bottles, and Aluminum Cans. 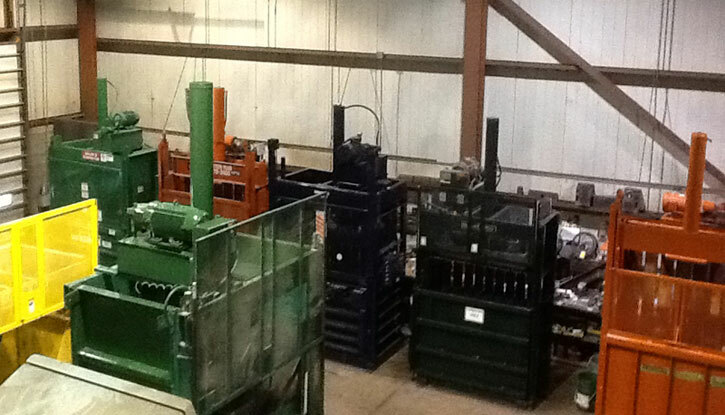 Call us at 905.878.3400 if you have any questions or if there is a specific baler that you are looking for. Generally we can find it for you both new and re-conditioned. Units are re-conditioned and include a 90 day parts and labor warrantee.